Batman and Joker jugs, Harley Quinn t-shirts, earrings, mugs and alarm clocks…are you curious to find out what else you can get in our Batman merchandise section? 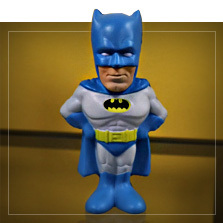 The best Batman gift ideas are here at Funidelia! 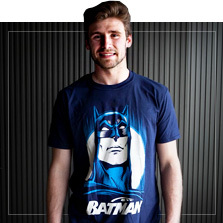 If Batman is your favorite superhero, you’ve come to the right place! Our online catalog includes a wide selection of Batman t-shirts, mugs, lamps and products featuring Batman comics or movie characters. Besides all of the Batman gifts you’ll find, also explore options for his archenemies: Harley Quinn t-shirts, Funko Pop Joker figures, and other collectible gadgets and toys. Discover all of the incredible gifts you can get for yourself or that special friend that is a huge fan of the saga. 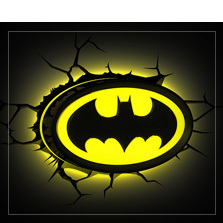 Batman Merchandise and gifts for real fans. 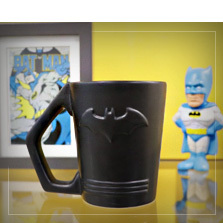 Let’s take a closer look at the products you’ll find in our Batman merchandise section. Besides Joker and Batman t-shirts, you’ll also find Harley Quinn and other DC comics characters t-shirts, available for men and women. Add a fun touch to your wardrobe with these caps, beanie hats, socks and hoodies. Browse other Batman gifts, like these awesome Funko Pop figures. Also find mugs, lamps, light-up alarm clocks, journals, keyrings, pens, letter openers, necklaces and even a Batman Vs Joker chess game. You’ll have a hard time choosing your favorite!